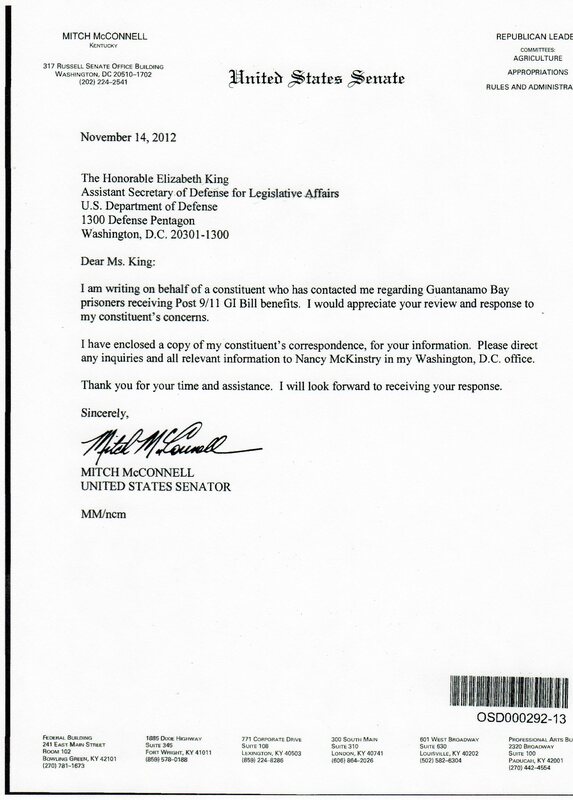 In the grand tradition of politicians getting hoodwinked by parody websites, Senate Minority Leader Mitch McConnell, R-Ky., was tricked by the military's answer to The Onion, The Duffel Blog. The Duffell Blog is a fake military news site, with headlines like "Army Spends $100M On Piece of Equipment That Doesn’t Do Anything," "DoD Announces Casualty In War on Christmas" and "Syria to Host Iraq War Reenactors." 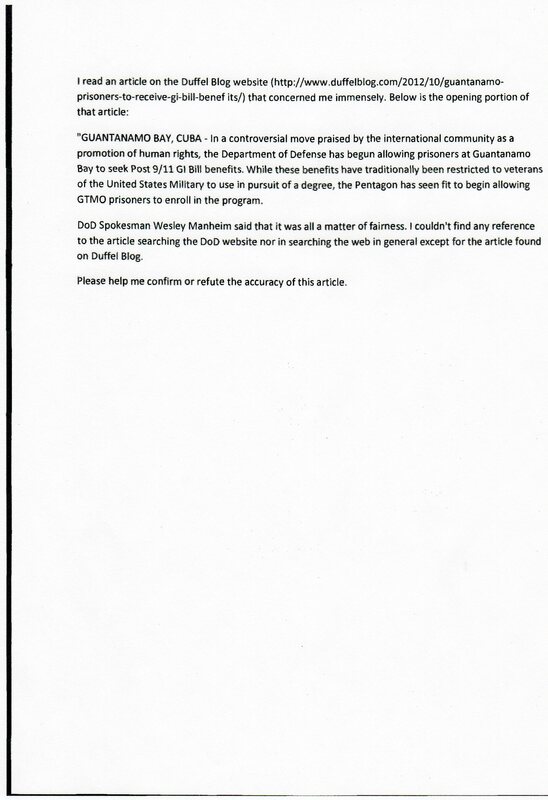 Um, Guantanamo detainees getting GI Bill benefits? Yes, that’s from the Duffel Blog, as McConnell’s constituent clearly states, complete with the reference URL. Said constituent even notes that he or she can’t find any information about the alleged government payouts to suspected insurgents and terrorists. DoD Spokesman Wesley Manheim said that it was all a matter of fairness. “The very idea that the U.S. government would extend GI Bill benefits to enemy detainees is a patent absurdity,” Army Lt. Col. Todd Breasseale, the Pentagon’s Guantanamo spokesman, told Danger Room.